How would you describe ECOMMPAY to someone who is new to the payment industry and has never heard of you? 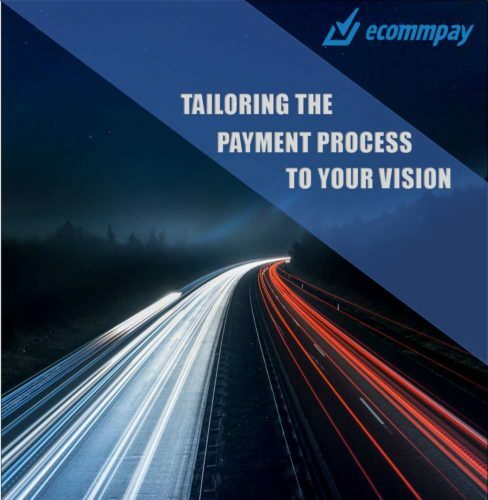 ECOMMPAY is multidimensional – it offers a versatile service to all its stakeholders, but to briefly summarise, I’d say that we’re a company who enables online businesses to accept payments from customers all over the world. This pertains to both traditional payment systems, such as credit and debit cards, but also a whole host of alternative, regional payment methods. To further questions on what differentiates us from other companies working in the same space, I’d say that we prioritise user experience – not just for the customer, but for everyone who engages with the payment platform in any way. We build a convenient, streamlined customer journey for the end-user, yes, but we also ensure an intuitive interface with customisable settings for our client’s operations team, as well as the ability to easily access crucial information, creating analytical reports in a few simple clicks, for business owners. That, paired with our stringent security measures and proprietary technologies – we’ve got a dedicated risk department and more than 150 in-house developers – gives us a pretty serious competitive edge. As a payment service provider (PSP) and acquirer, your direct customers are the merchants. Have you noticed any changes in merchants’ needs and behaviours since you started operating 6 years ago? Yes, definitely! The industry is always evolving – what’s possible now wasn’t possible six months, much less six years ago. 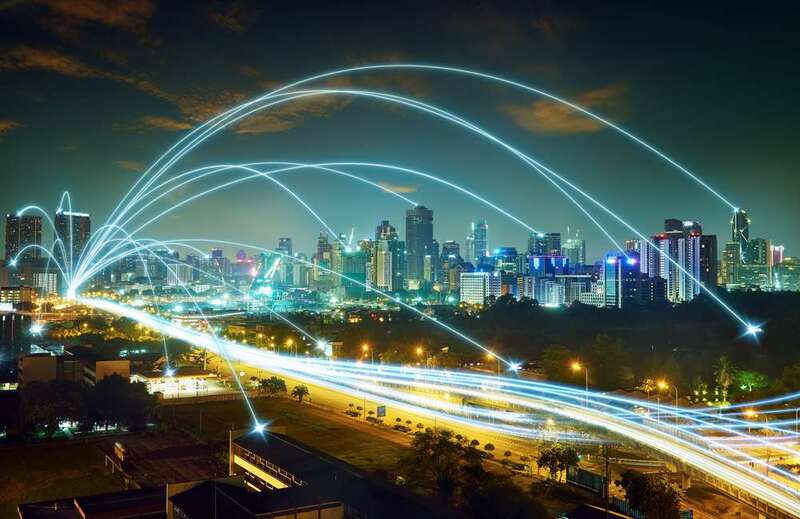 The mere fact that each year, if not each quarter, we have new buzz words is proof enough that technology is steaming ahead. Customers react to innovation by demanding access to new features, which means that merchants need new functionality. This puts the pressure on us, as payment service providers, to adapt quickly, efficiently, and effectively. Over the past year, there’s been more demand for specific requirements relating to the customer journey, so we’ve dedicated considerable efforts to finding ways to enhance frictionless payments while still ensuring optimum security. Our proprietary FraudStop risk management system has undergone several upgrades to expand capabilities. Tech-savvy risk analysts, working in collaboration with ECOMMPAY’s software developers, have successfully engineered the automated system to apply machine learning to the scoring principle, which assigns a pre-determined weight to each transaction variable. This one function has resulted in a significant decrease in declined transactions, enabling our clients to collect maximum revenues while safeguarding security. This being said, we’re always on the lookout for more ways in which we can improve our service. We evaluate trends, not jumping on each and every bandwagon, but making sure our merchants have access to the things they need when they need them. How important is customer experience in the eyes of merchants – do they really care about it or are they just focused on getting the best acquiring deal? We must consider customer experience for merchants themselves and the end-users. Personally, I’d say that both are crucial to successful operations. The important thing to remember is that there’s a difference between price and value – you can get something for very cheap, but then spend much more resource on making it work properly. I think that established merchants, like the ones we work with, are very conscious of this fact, and to them, user experience is everything. They want a seamless service from us, but they also want to make sure they offer a seamless service to their customers. The customer journey needs to be convenient, but also secure and reliable. If a consumer has a positive experience on a merchant’s website, it not only increases the likelihood that they will convert into a customer, but also that they will return to make more purchases again and again. And if they’re really pleased, they may even help spread the word to friends and family. In your opinion, what is driving or hindering PSPs and acquirers current customer experience initiatives? And why? A plethora of factors influence PSPs and customer experience initiatives especially as it’s not just PSPs and acquirers that deal in customer payments. In short, if you look at initiatives from companies like Amazon, they offer one click payments and repeat purchases with dash buttons. That’s an easy way to increase conversion – our own OneClick Payment technology and our Recurring Payments functionality can attest to that! Examples of poor user experience is when customers are redirected away from a merchant’s website to complete a transaction, or when the payment page hasn’t been optimised for various devices (the surge in m-Commerce should be evidence enough that this is worth the investment). Offering tailored solutions seems to be part of the value proposition for an increasing number of PSPs/acquirers, and has now become more of a hygiene factor in the eyes of many merchants. What else can a PSP/acquirer do to remain competitive and differentiate their offering? When we started six years ago, this approach was something novel, because companies at the time were providing out-of-the-box solutions. ECOMMPAY recognised that each business is unique. A bespoke payment solution paired with a tailored approach ensured that merchants could capitalise on the areas which those one-size-fits-all solutions missed. Of course, the success of this approach meant that it wouldn’t be unique to us for very long. With competition catching up, our focus is on remaining ahead of the curve, constantly evolving and always looking to push the boundaries in payments. We’re not stagnating in the here and now, we’re jumping ahead, trying to envision where payments could – and should – be in 3-5 years, if not more. Some of our newest projects are still under wraps, but we’ll reveal them soon enough! If you had to name one key topic of discussion in the payments and acquiring industry today, which would it be? There’s a few that are on everybody’s lips at every conference: enhancing user experience, facilitating global expansion, and safeguarding security. I’ve detailed our approach to user experience and security earlier, but facilitating global expansion is an interesting one. Consumer trends vary widely around the world, so merchants looking to grow their business internationally need to be very aware of regional differences. Inexperienced clients are often surprised to discover that credit cards, though widely used, are not always the preferred option. We’ve made it our mission to provide as many alternative, regional payment methods as possible, consulting clients on regional preferences prior to building a bespoke payment strategy geared towards global expansion. What is the question we haven’t asked you and every PSP fears answering the most, and why? That question most definitely relates to pricing. Pricing is a very tricky subject, because how should payment services be valued? Many merchants tend to feel that payment companies charge too much. When you’re pitching for new business against competitors, it’s often a race to the bottom when it comes to commercials. There’s a lot of technical work, data analysis, and client management involved to ensure that merchant payment operations are always running smoothly – that support, obviously, comes at a cost. In my personal view, the benefit should always outweigh the bottom line. What is next for ECOMMPAY? We’re focusing our energies on maintaining momentum, constantly evolving with the industry and diversifying to be ahead of the competition. Our product proposition ultimately needs to reflect consumer demand and, as I mentioned previously, where we feel payments will be in 3-5 years’ time. As part of our efforts, we’ve made huge strides this year. In Q1, we launched our newest payment gateway, GATE2025, which combines acquiring capabilities, 100+ alternative payment methods, payouts, and technological innovation. Its key benefits are in its architecture. Processing more than 1000 transactions per second, GATE2025 reflects industry trends, incorporating highload performance capabilities to significantly improve the quality and security of payment services. And this, as they say, is only the beginning. We’re always on the move. New patches and plug-ins are introduced weekly, with new features, products, technologies, and functionalities released monthly. Even I sometimes find it hard to keep up with all the innovation! What one pearl of wisdom would you share with your fellow PSP and acquiring peers? The payments industry is ever evolving, growing and expanding. Companies cannot afford to take their eyes off the ball in such a fast-paced environment. Knowledge, versatility and adaptability should be prioritised. In short – keep innovating, keep evolving and keep challenging us!